Good morning! 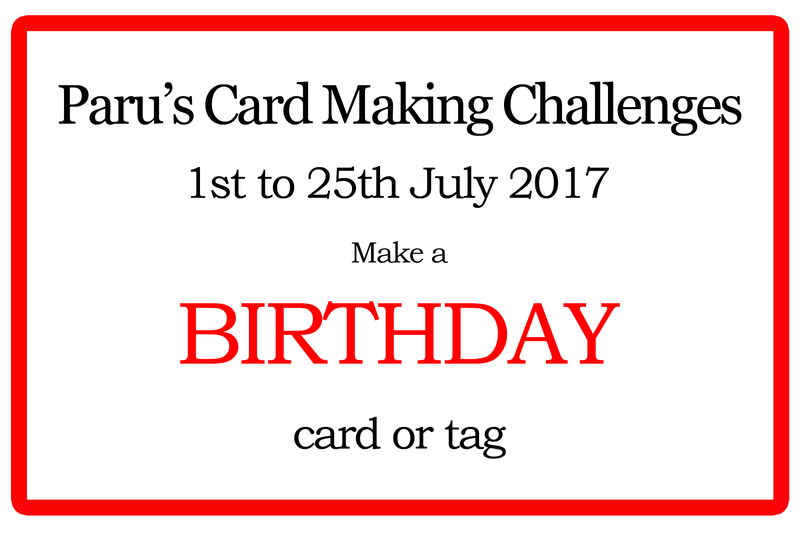 I'm so excited to tell you that I am the July Guest at Paru's Cardmaking Challenges! 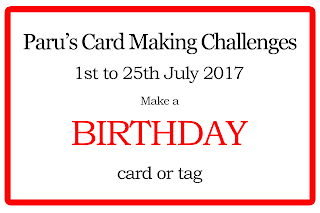 This month's theme is Birthday. I was inspired by Donna's card here. And I made quite a few panels before I managed to settle on a colour combination, good spacing and to get everything masked, sponged and stamped properly! I cut the balloon out of masking paper (one for each colour) and used the negative space, distress ink and a swirling motion to fill in with a lighter centre, which gives a bit of dimension. I spritzed the balloons for more texture and interest. I knew that some bold black would give this pretty card a graphic feel. And of course, you can't have a birthday without some sparkle! What a fabulous and cheerful card and tag Ardyth - and it sounds as though it was quite labour intensive!! Great results though. I don't usually take the time to comment, but I just thought this was such a beautiful set and it's inspired me to make the tag along with the card while I'm at it. Thank you! The balloons are awesome. Love the matching set! 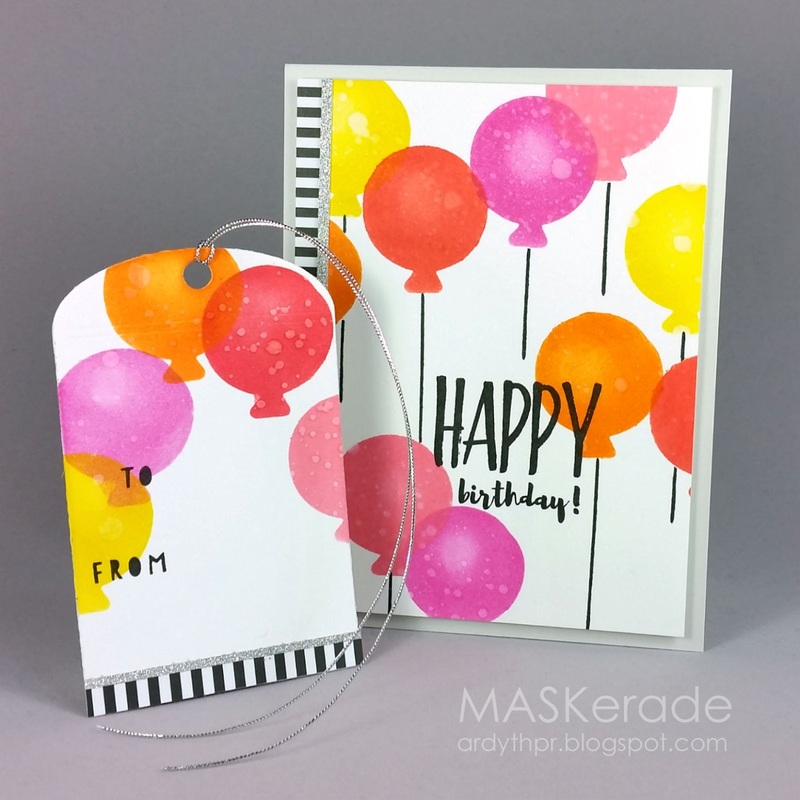 What a happy Happy Birthday card!